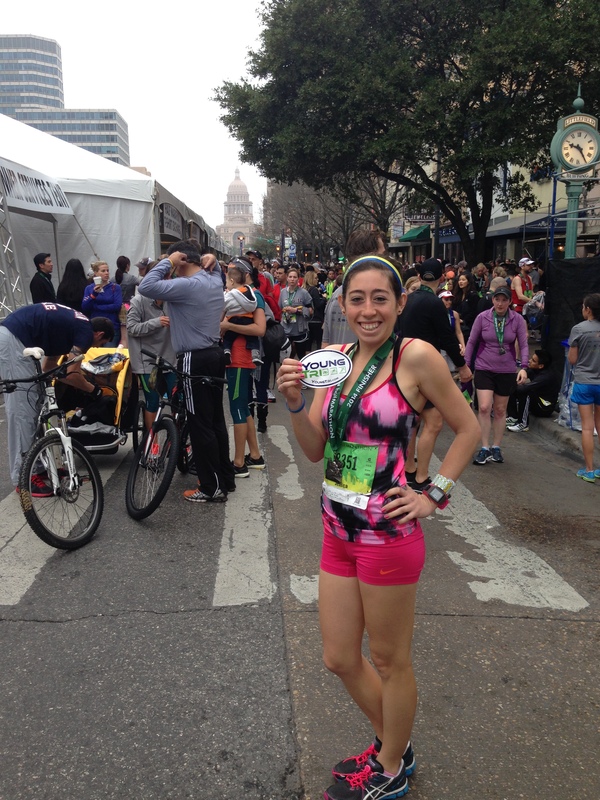 YoungTri Ambassador Jessica Takes Austin Half Marathon! 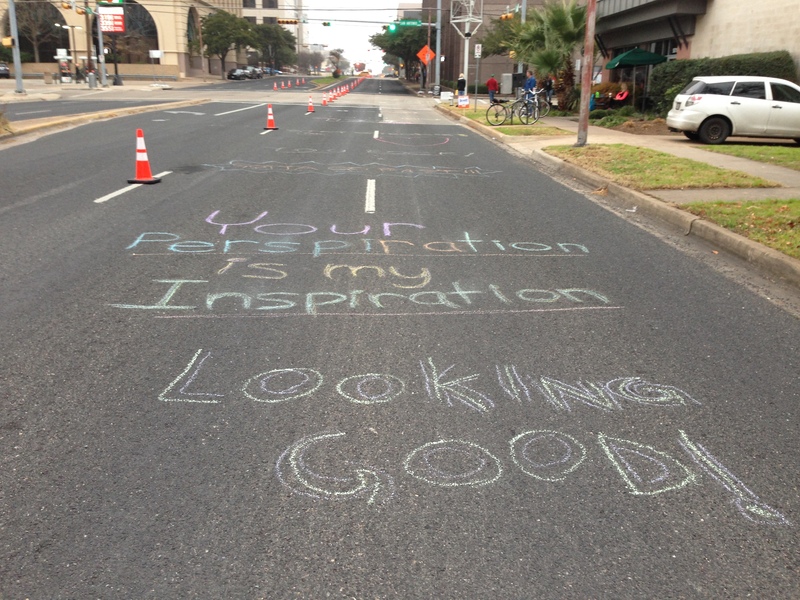 YoungTri Ambassador Jessica, a senior at Tufts, rocket the Austin half Marathon this weekend! 1:36:37 and 10th in her age group out of 769! 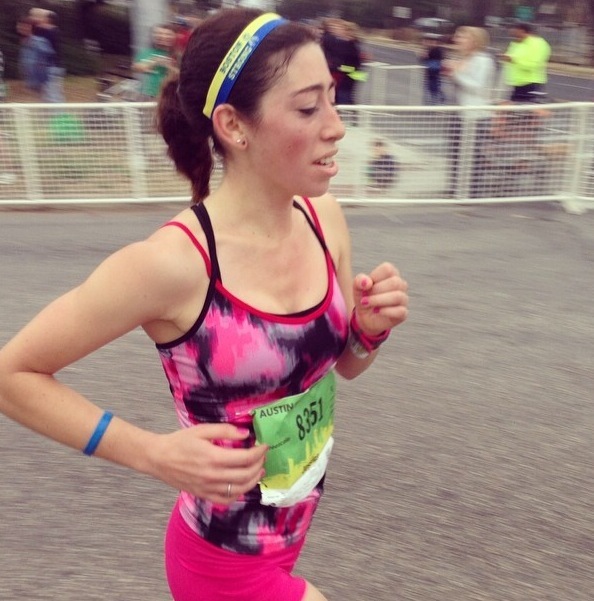 Jessica on this weekend’s race: Honestly, what this race taught me was that there are a variety of ways to grow as a runner/triathlete. Through out college, my cross country coach pushed me to train every day of the week and to never take off days. I consistently battled injuries and failures to improve as an athlete. My current coach (marathon/ironman) advocates running 3 times a week, speed day, medium distance run, and long run. I cross-train so that I can get into triathlon shape. His theory of training hard, but knowing your limits and taking days off when feeling tired has actually helped me grow as a runner. I definitely am grateful to have a coach like him. Killin’ it on the course! Go Jessica! 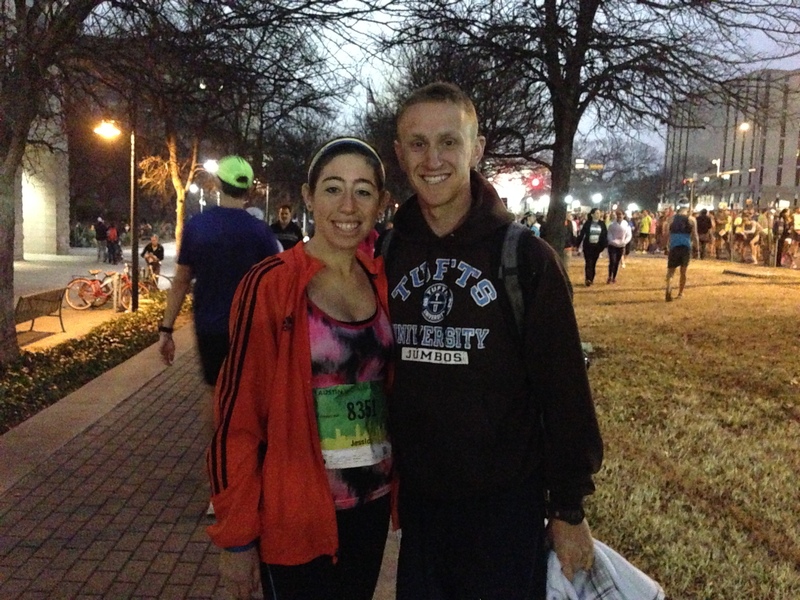 Jessica and I will be training together a bit this fall in Boston!